← Is Soy Really A Ploy? We have all been taught that a calorie is a calorie and fat is fat. This knowledge comes from the field of food chemistry. 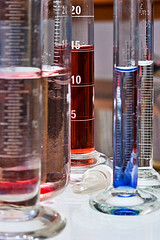 But we are not test tubes and what may be true in a food chemistry lab is not necessarily true in our body. A recent study looked at calories burned in individuals on various types of diets and found that diet type affected how food calories were metabolized. This, of course, mirrors our class discussions: How you metabolize calories depends on what you eat and the circumstances under which you eat. In the calorie burning study, a small group of individuals were scrutinized closely as they ate three different types of diets: A low-fat, a low-glycemic, and a low-carbohydrate diet. While we do not know exactly what these people ate, those on the low-fat diet ate more whole grain products, fruits, and vegetables. Those on the low-glycemic replaced some of the grains and starchy vegetables with healthy fats and low-glycemic vegetables, fruits, and legumes. The low-carb diet was a fairly strict Atkins-type high protein diet. Calorie use at rest was highest on the low carb diet and lowest on the low fat diet. Total calories burned were highest on the low carb diet and lowest on the low fat diet. Leptin levels were lowest on the high fat diet and highest on the low fat diet. C-reactive protein (a marker or non-specific inflammation) levels were highest on the low carb diet as were levels of the stress hormone cortisol. The study certainly confirms my view that different foods affect how we burn calories; some increase calorie expenditure, some slow it. It also appears that a diet high in protein, low in fiber, and low in carbohydrates will make weight loss easier by increasing calorie burning but – and this is a big but – it worsens stress hormone levels and inflammatory markers. This, of course, leads to the important question, should weight loss be our primary goal and weight our primary measure of health? If so, the low carb diet is the way to go. But the low carb diet raised stress hormone levels. That rise in the long run promotes fat gain, insulin resistance, and cardiovascular disease. A rise in C-reactive protein is an indicator of a rise in inflammation also associated with cardiovascular disease. Thus, this study suggests that a high protein, low plant food diet may well give you a more pleasing exterior at the expense of your overall health. C-reactive protein (CRP) is used to evaluate whether negative changes in cholesterol numbers are likely to reflect an increase in potential “cardiac events.” Cardiac events include things like heart attacks, strokes, and other unpleasant circulatory events. A rise in CRP is not a good thing. It turns out that other studies also tend to correlate the low carb, high protein diet with an increase in cardiac events, especially where the high protein diet is rich in animal protein. Although one American study did not show that a low carb diet increased heart disease risk, it did find that a diet of plant based protein reduced heart disease risk. Three smaller European studies did correlate high protein with heart disease. Relatively young Swedish women, middle aged Greeks, and elderly Swedish men all experienced an increase in cardiac deaths on low carb, high protein diets. And a very recent study of close to 50,000 Swedish women concluded that a low carb diet increased the risk of heart attacks, strokes of all types, and peripheral artery disease. For every 20-gram decrease in carbohydrates and 5-gram increase in protein, there was a corresponding 5% increase in overall risk of cardiac disease. Thus a low carb, high protein diet may make weight loss easier, and may improve some laboratory values such as cholesterol levels. However, at the same time it appears that these are superficial gains that come with deeper, inner inflammatory turmoil. That inner turmoil manifests as heart attacks and stroke and is significant. This situation reminds me of recent studies on removing belly fat to improve appearance. 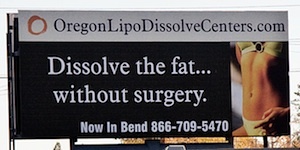 Liposuction is used cosmetically to achieve a slimmer, trimmer look. A number of studies have followed patients undergoing these procedures post-surgery and learned that the cosmetic benefits of the surgery persisted, in the form of flatter stomachs. At the same time, however, the fat removed was almost immediately replaced, but in a different part of the body. The superficial, subcutaneous “ugly” fat was quickly replaced with the inflammatory, dangerous intra-abdominal fat. This type of fat might well raise C-reactive protein levels. In my opinion, these studies show us that our focus needs to be on health and not on looks. We need to eat to nourish our bodies and to do so we must eat our most ancient foods, fruits and vegetables. Protein has an important place in our diet but excess protein does not. Whether this is due to an inherent issue humans have with too much animal protein or whether it is caused by the plethora of environmental toxins found in today’s animal protein is unknown. And really does not matter. Regardless, we must eat a balanced diet that is rich in fruits and vegetables and moderate in protein to be healthy. And while it may take longer (and it may not) to lose weight on a balanced diet, the weight lost on a healthy diet will go beyond superficial appearance by improving our health and reducing inflammation. This entry was posted in chemicals, Food and tagged Atkins, C-reactive protein, calories, CRP, diets, inflammation, intra-abdominal fat, liposuction, low fat, low glycemic, research, weight loss. Bookmark the permalink. 2 Responses to There is fat and there is fat. . .
Food quantity is much to often the focus of our healthcare interventions. Food quality needs to be taken up as the supreme cause. This unfortunately can not be done on a systemic level due to the web of corporate monies from the food industry having influence over our policy. We must each empower ourselves to Just Eat Real Food. alive, real and toxic free food is all i want.